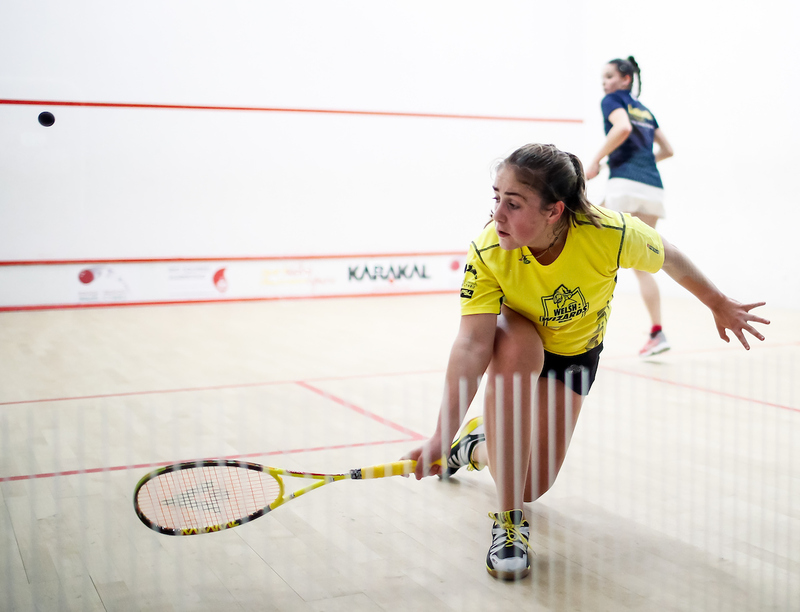 Tesni Evans will play for Welsh Wizards in their final Premier Squash League group fixture against Bexley on Friday, April 5. Pic: Simon King/Replay Images. Tesni Evans has set-up a Women’s Cleveland Classic final clash with No 1 seed Nour El Tayeb in Ohio. The No 2 seed came from one game down to beat England’s Victoria Lust in her semi-final on Sunday. Evans triumphed 4-11, 12-10, 11-8, 11-4 after a 78-minute battle at the Cleveland Racquet Club. Lust, now based in Canada, was seeded four for the $51,250 event. Evans, who has slipped to 11 in the world rankings, has lived up to her seeding to reach her first final of the year. But she faces a tough test on Monday against the world No 4 from Egypt who beat England’s Alison Waters , the third seed, in the other semi-final – 11-9, 11-9, 11-2. Waters beat Evans at last month’s Tournament of Champions event in New York, but now there will be no repeat of that clash. Joel Makin bowed out of the El Gouna International in Egypt after a battle lasting more than an hour. The Haverfordwest-born player took world No 5 Paul Coll to a tie-break in the opening game of their third round which he led early on. Alys Thomas added the 100m butterfly title to her 200m gold while Lewis Fraser broke the Welsh 50m butterfly record on a night when the promise of youth and the rewards that come from resilience were all on display as the British Swimming Championships concluded in Glasgow. While 28-year-old Thomas clinched her golden double an eye-opening meet concluded for 16-year-old Matt Richards who was seventh in the 200m freestyle, twice lowering the British Age Group record on the final day.